It's not enough for a restaurant brand to have a convenient location, quick service, or a bargain meal anymore. In today's hyper-competitive and widely-varied quick-service restaurant market, convenience-seeking consumers are always looking for the option that has the next best thing. Fast-food giants, like Starbucks, Dunkin' Donuts, and Taco Bell, all have a leg-up on the competition with their abilities to cater to always-changing consumer demands in fun and innovative ways. What lessons can you learn from fast-food chain marketing moves? For businesses and organizations, mobile apps and social media can be a huge help for customer engagement, allowing opportunities to crowdsource ideas, suggestions, and feedback. Starbucks was able to drive store sales through the roof with their introduction of a mobile payment system, which premiered years before Apple's and Samsung's models. By the end of 2017, 30% of U.S. Starbucks transactions were paid through the app, with app users spending approximately 3x more than the other customers. In addition to the boost in sales, Starbucks is also able to collect data for better insights of their target audiences. Heinz Ketchup used social media to get the go-ahead from customers for their new 'Mayochup' product, which blends together mayonnaise and ketchup—a popular trend in the U.K. and the Gulf states. 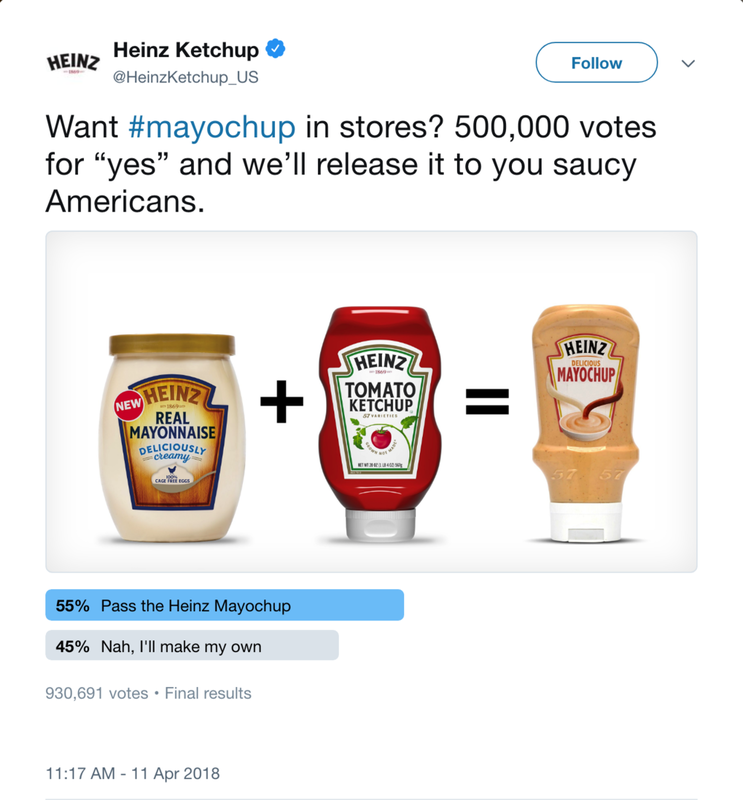 They took the decision to Twitter in a poll asking U.S. customers if they really wanted to see "mayochup" in stores. Earn customer loyalty by offering perks like rewards, discounts, free products, upgrades, etc. Employing rewards cards, mobile rewards apps, or other rewards systems will allow customers to gain benefits each time they make a purchase, consequently encouraging repeat purchases. Starbucks is a prime example of engaging customers and boosting profits through mutually beneficial apps. Starbucks app users can skip lines, have shorter in-store wait times, earn free products, get free birthday beverages, and have access to other promotions the brand offers. 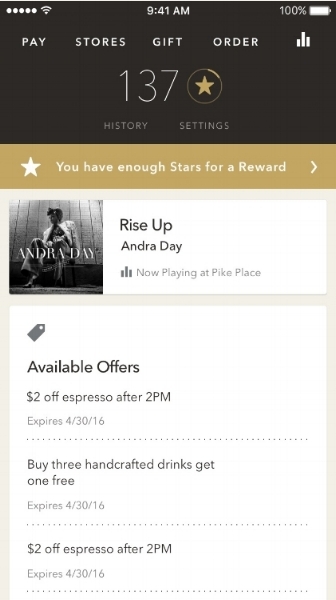 In constantly rolling out new perks through the app, Starbucks encourages users to continue revisiting the app in order to earn varied rewards and engage in promotions. Auntie Anne's and Dunkin' Donuts are both classic fast-food brands with sweet, dough-based offerings: pretzels and donuts. What else do they have in common? Now, apparel. To celebrate the company's 30th birthday, Auntie Anne's released a line of pretzel-themed swag, with all proceeds going to the brand's charitable partner Alex's Lemonade Stand Foundation to support the fight against childhood cancer. While Auntie Anne's may not directly profit from the sales of the new apparel, lifestyle, and home products, the swag lets loyal fans announce their pretzel-love and spreads the brand message to reach new customers. In partnering with artist Mike Perry for a Twitter give-away (notice tip 1, digital engagement, employed here) of fanny packs, in addition to other artists, Auntie Anne's dips into a new pool of creatives with potential to diversify customer reach and expand brand exposure. Similarly, Dunkin' Donuts partnered with Saucony, also based in Boston, to release 2,000 pairs of the Saucony x Dunkin' Kinvara 9 sneakers in honor of the Boston Marathon—giving a whole new meaning to the famous slogan "America Runs on Dunkin'." In addition to supporting local traditions and business, partnering with a brand that caters to runners positions Dunkin' Donuts to land more customer exposure: coffee is the first and donuts are the sixth food or beverage mentioned by runners, according to exercise-tracking app Strava. Positioning your offerings to customers in a way that is most convenient to them is an move that will position you for success. To position your products for convenience, turn to market research that will allow you to listen and understand what customers desires. Taco Bell recently made it a whole lot easier to connect customers to their brand by releasing a line of chips and dip. The chip bags are modeled after the brand's iconic dip packets, adding a original level of brand identity and opportunity for customer recognition. Available at grocery and convenient stores, the new products give Taco Bell fans a different way to access their brand—in this case, at home. With so much market saturation across industries, it's hard to maintain customer interest. To retain existing customers and gain new ones, it's important to look for new ways to engage diverse audiences. Explore the digital realm—how can your brand benefit from technology? How can you foster customer loyalty—what perks and rewards can you offer your repeat customers? Look at new audiences—what users have you been overlooking and what partnerships could help you reach them? How can you make brand engagement more convenient for your customers—how can your brand make their lives easier? Looking for new ways to energize your marketing strategies? Check out our guides to think up ways to give customers new access to your brand.